Whew I'm knocking out these audio books! 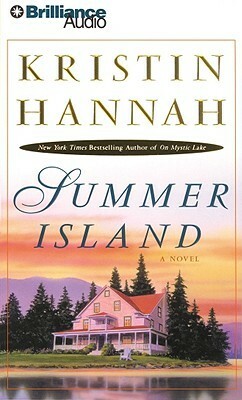 Today I finished listening to Summer Island by Kristin Hannah. Ahhh a Summer Island. Doesn't that sound so nice about now? But this book isn't really about a nice relaxing time on a summer island. It's about turmoil in a family that just happens to all be on an island. This story is about a mom, Nora who is an "Ann Landers" of sorts and how she is brought down by some naughty pictures of her with a man that was not her husband. It doesn't matter that she's already not married to the man, it's a "scandal".Her estranged daughter Ruby is in between jobs and ends up on the island with her mom and they hash out old times. I never really felt any big connection to any of the characters. It was a story that ends up nice and tidy but eh not too exciting. Definitely not one of my favorite Kristin Hannah books! Right, I shall not be reading that one then!